Here we share a direct link to Download Asus ZenFone 3 14.2020.1711.80 Firmware update. The update improves SIM card detection function, Bluetooth connection, fixes bugs, and improves the system stability. Download Asus ZenFone 3 14.2020.1711.80 firmware update from below. The v14.2020.1711.80 update for Zenfone 3 is an Incremental update which rolls out in phase wise manner. The update is rolling out via OTA (over-the-air) and many users already getting the update. You can wait for the OTA updates, or you can Download ZenFone 3 v14.2020.1711.80 OTA to update it manually with below method. 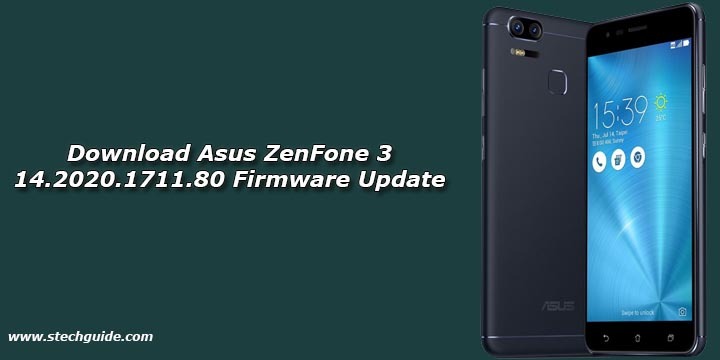 Download Asus ZenFone 3 14.2020.1711.80 firmware update file from below. Improved the WIFI Krack security. Improved the function of BT connection. Improved the function of SIM card detection. This method is only for the ASUS ZenFone 3 (ZE520KL/ZE552KL) For WW SKU only. 4) Download the 14.2020.1711.80 OTA Zip file for Asus Zenfone 3 from above Copy ROM to ADB folder.